The Charter School debate has been brought to the fore recently two events; ( 1 ) new legislation filed in January had its General Court committee hearing yesterday and ( 2 ) a candidate for Boston mayor, John R Connolly, has made raising the cap an issue in his campaign, and has garnered editorial support from Boston Globe columnist Scot Lehigh. The issue is not a simple one. Massachusetts school laws don’t just address school openings or curriculum. Funding goes first to standard public schools; and teachers in standard public schools generally belong to either the BTU or MTA, two very powerful teachers’; unions. The involvement of union interests arises because most charter school teachers are not union members. that’s because the teachers’ unions discourage members from working in charter schools. Indeed, the teachers’ unions opposed the creation of charter schools from the beginning, and they still do oppose them. 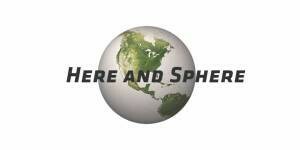 They oppose the cap-lifting legislation that we at Here and Sphere would like to support. Funding is also an obstacle, because money directed to new charter schools that the new legislation seeks to allow is funding taken away from standard public schools. This matters, because even if this legislation is adopted, most students will continue to attend standard public schools — the very schools with the poorest record of learning achievement. We are not comfortable with taking money away from schools that often need more of it, per pupil, than better-performing schools. If you are familiar with the boggling problems such schools face — equipment theft, assaults on teachers, school security, and more — you’ll know why. !. Massachusetts charter schools way outperform stabdard public schools in standardized test results — tests that decide a child’s opportunity to attend a great university or college. 2.Massachusetts charter schools offer much more challenging curricula, with greater flexibility, than does the curriculum offered in standard public schools. 3.Just as important as the above, parents have lined u in huge numbers to enroll their children in charter schools. The statewide waiting list, according to reports, stands at ,000 and is growing daily. If parents want charter schooling for their children — and if they are right to do so — how can we in good conscience refuse them ? We shouldn’t. 4.Charter schools work especially in urban areas where standard school performance ranks among the lowest in the state. We strongly support the right of urban children to get schooling as strong as that commonly available to students in wealthier communities. The current legislation seeks to abolish the cap on charter Schools. We wont go that far just yet. Our position is a middle one: the state should adopt the currently filed legislation and lift — but not yet abolish — the cap limits on how many charter schools can open.